The Jane sofa is composed of modular units. Multiple configurations are possible. Custom finishes, fabrics, and leather are available. .
Priceless. Please note that prices are not listed. The myriad of fabric and sizing options available to our clientele is part of Montauk Sofa's commitment to provide "made to measure" customer service. 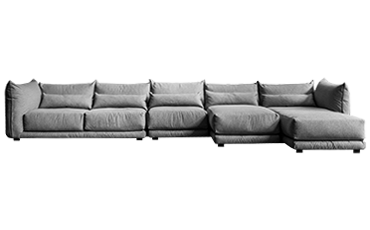 For pricing, contact us at info@montauksofa.com or visit a Montauk Sofa store/showroom click on CITIES for contact info.